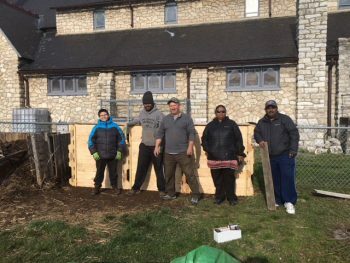 Senthil Vel and Boy Scouts and volunteers from Troop 6 in front of the compost pens at the Coatesville Community Garden. 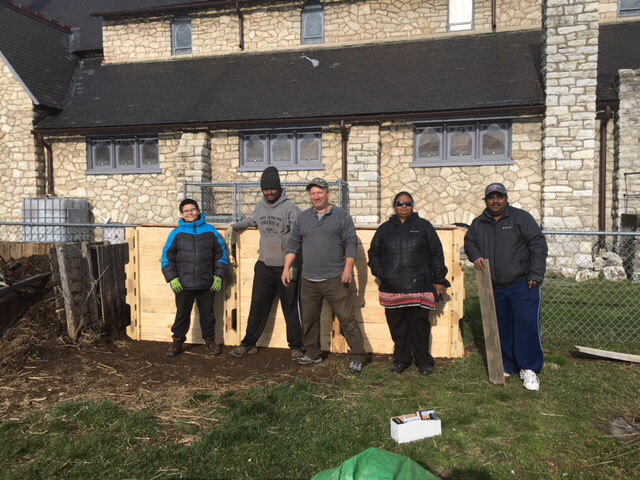 COATESVILLE — On April 7, Senthil Vel, an Eagle Scout from Troop 6 in West Chester led the project to build two sets of 3-bin composters in the Coatesville Community Garden located at 3rd Avenue and Lincoln Highway. More than 200 hours were spent by volunteers from Troop 6, Chester County Food Bank and Walk the Walk Foundation. In addition to making this garden more inviting, these compost bins will give the gardeners fine compost. Compost returns valuable nutrients to the soil to help maintain soil quality and fertility. Compost is a mild, slow release, natural fertilizer that won’t burn plants like chemical fertilizers can. It provides organic matter and nutrients which will improve plant growth and lead to better yields. The Coatesville Community Garden has been used (and is being used) by residents to grow fresh vegetables and is a place for them to get together socially. It is also being used as a place for young children to learn about gardening. Some bed holders donate their produce to the Chester County Food Bank and local food distribution sites. Special thanks to John Rock Inc. of Coatesville who donated pallets and wooden boards. 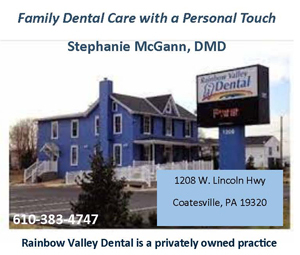 Thanks also to Raina Ainslie of the Chester County Food Bank who was Senthil’s advisor for this project. The Coatesville Community Garden sends a huge “Thank you!” to Senthil !